You asked, and we listened! 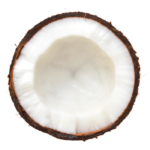 Now get our soothing, nourishing Coconut Joy Smooth Pre-Shave Oil in travel size—because vacations deserve epic levels of smooth. Now you can get your best bikini shave on-the-go. It’s true what they say—great things come in small (TSA-approved) packages. 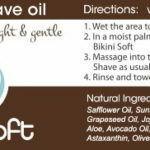 Bikini Soft is a shave oil for women that makes bikini shaving a cinch! 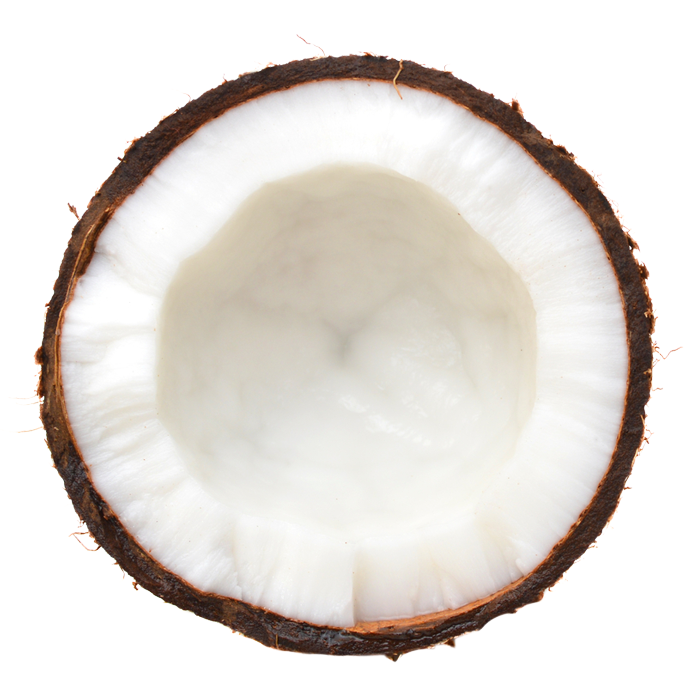 Looking for our original size Coconut Joy oil? Find it here. The secret that men have known for centuries, is that a great shave oil can make the difference between a good shave and an amazing one. That’s why we created Bikini Soft Smooth Shave Oil — to bring the luxury and quality of a professional shave experience to women everywhere. Do you need another product afterward, such as Tend Skin, or does this do the trick 100%? Most women don’t need anything else. However, everyone is different and some women with very sensitive skin may want to use an analgesic (like Tend Skin) afterwards. 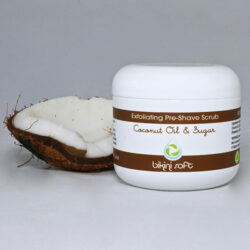 More importantly, you want to prevent skin irritation from shaving and Bikini Soft will definitely improve your shave. Note that if you have sensitive skin, you may want to consider using a 1 to 3 blade razor vs. a 4 – 6 blade razor. What you should be aware of when shaving is the “glide” of your razor. Does it flow smoothly across your skin and can that glide be enhanced. Almost as important is the fact that when you shave, you can really only cut the hair 2 to 3 times. So unless you have really dense, thick hair, more than 4 blades on a razor is overkill. In fact for most women, beyond 4 blades is an invitation for irritation as the 5th and 6th blades begin to scrape away the upper layers of the derma. If shaving under your arms and bikini line is an irritating experience, try using a razor with less blades as well as shaving with Bikini Soft Oil. The enhanced glide along with the reduced number of blades will make a difference. Perhaps equally as important a smaller razor head and the translucent Bikini Soft shave oil allows you to see where you are shaving. Additionally, when shaving in sensitive areas as well as tight spots, utilizing a thin headed 1 or 2 blade razor with Bikini Soft Shaving Oil can work wonders. You’ll have more control, better sight line as well as less chance of irritation. It’s analogous to make up application. You wouldn’t use a larger blush brush to apply eye makeup (or vice versa). The same is true for shaving. In the end, a 3 – 4 blade razor should suffice for open areas like legs and thighs. However it would be wise to have a good 1 – 2 blade razor ready for underarms, ankles, bikini line and sensitive spots prone to irritation. 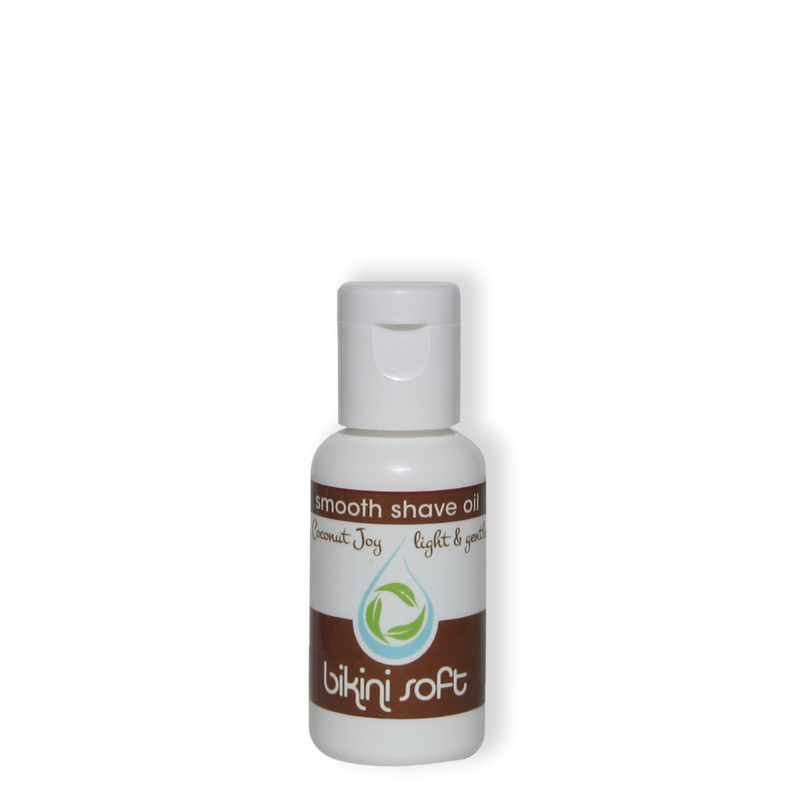 More importantly, shaving with Bikini Soft Shave Oil will improve your shave no matter what razor you use! Lastly, rest assured that no matter what Bikini Soft has a 100% Empty Bottle Money Back Guarantee! Use the whole bottle and if your not satisfied, we’ll refund your money! I first tried this product as I had won a bottle on facebook. I liked it so much that I quickly reordered. I like this size as its very convenient, very small but very effective. I follow Bikini Soft on social media as they have great advice for shaving and there are also opportunities to save money with specials and promotions. I’ve thrown away my shaving cream. Try it! I like Bikini Soft but feel this bottle is a little small. Perhaps it’s because I prefer you e more of it as it feels good on my skin. It definitely improves your shave and got rid of my bikini bumps! I gave it 4 stars for size, but I am reordering the two- pack!